With the re-release of LA Noire on the current gen of consoles looming imminent, I thought it would be a good time to go back and play Australian developer, Team Bondi’s, first and only title. LA Noire was one of the first AAA games I played from start to finish (showing my younger age here, I know) and left an impression on me as a youngster, but lots of things change in five years. I was curious to see if it could stand up to the new favourites I’d picked up along the way. And, as one of the rare Australian games with those blockbuster production values, Is it a culturally significant game, or a relic best left in the past? The game made waves on its first release for a groundbreaking facial-capture technology, in which real actors had lots of little nodes attached to their faces so that their every little mannerism was rendered in-game. 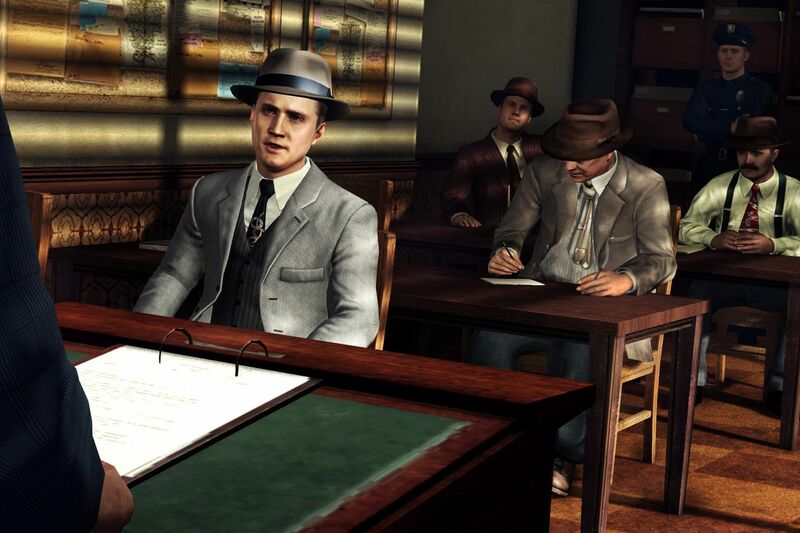 This featured heavily in the game’s interrogation scenes, where players needed to question witnesses and discern whether their testimonies were believable. It was, and still is, fairly impressive technology, but it’s not solid ground for a game to stand upon – even in real life it’s foolish to think one can tell honesty from deception from merely a twitch of the eyebrow or nervous downward glance, and plus, visual novels have been making interrogation scenes work for years without needing that technology. Team Bondi must have thought so too, because it also built driving and cover shooting elements into the story and side missions so that players were never doing the same thing for more than a few minutes at a time. 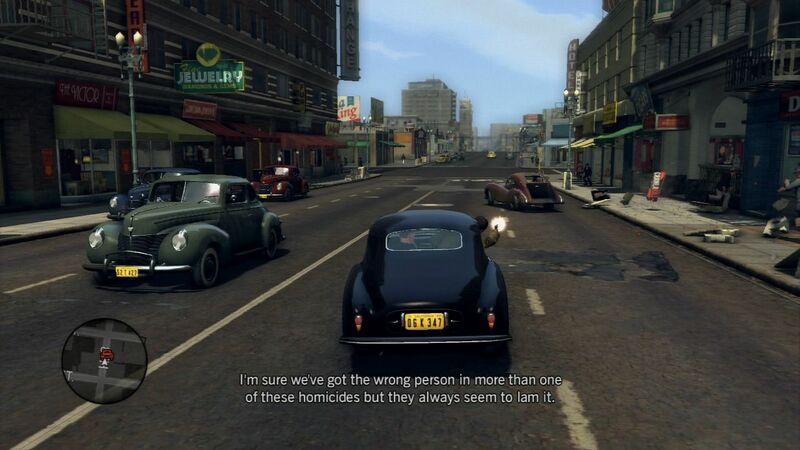 Chase sequences and wonky facial expression minigames aside, LA Noire’s real calling is its verisimilitude to noir thrillers of the Hays code era. Seminal films like Sunset Boulevard, Casablanca, The Maltese Falcon and The Big Sleep, which came to define the opulent yet morally corrupt Post-World War 2 period run deep in the veins of Team Bondi’s work, shown through both the game’s twisting storyline and its focus on two-faced, deceptive characters. If there was one thing the facial capture technology certainly succeeded at, it was letting the audience know that the role of discerning truth from lie was their job, not the writers. Thus, even though getting a guess wrong didn’t hold too much consequence, it was still immensely satisfying to get it right. LA Noire is remembered as one of the first open world games to tell a serious story, where the player avatar isn’t merely an everyman power fantasy, and it’s easy to see where the game’s faults lie once compared to more modern attempts at the task. This game’s story is completely linear – it’s effectively an adventure game peppered with driving and shooting setpiece moments – and the “open-worldness” of it is relegated to the player driving between various destination checkpoint markers. You’re never really given a choice of where to go either: it’s either the right way or no way. To compensate, the missions do a great job of threading the player like wool through the tapestry paper of the game’s overworld. Across the 20 hours or so of runtime you’ll drive through all the famous Hollywood roads, passing through landmarks like the LaBrea Tar Pits or the crumbling Intolerance film set - the game does need to remind you that you’re in LA, after all. But then what is the point of the open world? That’s up to debate – some critics definitely interpret it as a box-half-full, which might have had potential if there were more side activities. While there are 40 or so standalone police cases activated while driving through the city, they feel like a distraction to the main story and I ignored them after a while. If we look at the game that was released, however, it’s not a title about being a police officer in the 50’s. It’s a game about Cole Phelps – the veteran, good-cop, sycophant, sketch-artist Cole Phelps – and chronicling his rise and fall through the police force. I can’t think of any additions to an open world that would make the player feel more like Cole Phelps, especially when his urgency and thirst for justice form part of his hamartia. But then what is lost if the game is made into a straightforward action-setpiece-third-person-shooter like Max Payne? The best argument I can think of is the kinaesthetic experience of driving through the perfectly recreated city, while car-conversations illustrate Cole’s character by bouncing his brittle qualities against the abrasive Rusty Galloway, the sarcastic Roy Earles and the cynical Hershel Biggs. There’s value in the quiet moments – the walk up the stairs between your car and the perpetrator’s apartment, or the drives across the city listening to period accurate radio, or simply walking down a street at nighttime to see the City of Angels in its golden age. At the very least, it pops the player deep enough into the game’s world that once they do arrive at the crime scene and bullets start flying, it’s easy to feel more like an officer than a person playing a videogame. It helps that Phelps’ time in the LAPD only stretches a small part of a much larger overarching storyline. 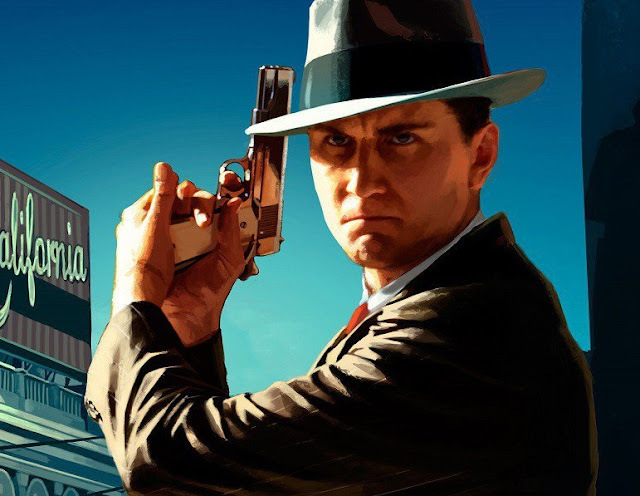 LA Noire explores everything from the Pacific Theatre of WWII, to the rapid post-war boom of 1940’s America, to the influx of gluttony and organised crime fuelled by a nation suddenly without any troubles or fears to hold them back. The writers do a great job of creating characters that represent big ideas of the time, and yet still behave in rational and relatable ways. It’s a game which is ambitious in scope and, in following Cole Phelps in his journey through a plot much bigger than himself, challenges players to properly immerse themselves and come to their own conclusions on the morality and trustworthiness of their characters. It would be the moments in which I related best to Cole Phelps that would form the strongest and fondest memories I have for LA Noire. To see the indignation he had towards a petty criminal, or his fury when his friend was threatened, or his disgust at endemic corruption in the police force – these were the moments where the game shined. The writers take their time to get there, but there’s some creative risks embedded with the game’s narrative that you don’t see often, and honestly any open-world game which isn’t an explosion-filled power fantasy is a rare occurrence nowadays. Thanks to a well written story strongly grounded in research and historical authenticity, LA Noire will hold up as a re-release in ways which other certain open-world titles don’t - or won't. It’s not a game for everyone, but its discussions of justice and morality transcend any technical limitations it might have had on its first release, so it’s easy to overlook any gameplay idiosyncrasies it might face in an industry landscape where open world is the hottest genre. If you somehow missed this one on the first time round, it’s a good idea to keep the re-release on your radar.